Power doesn’t have to play out on a grand and global scale. Your own divine power (that indeed doesn’t come from you at all, but flows to you from the source of all things) is what allows you to wake up the morning after your life’s greatest tragedy and feed your children. And it is a power within you that lets you listen to someone chatting on about how happy they are when truly they are suffering deeply, hear the words behind their words, and reach out and squeeze their hand. When you are connected to and sensitive to the great Being, being on this earth becomes smoother. The mantra Ajai Alai was written by the Warrior Saint (and poet) Guru Gobind Singh, the tenth Guru of the Sikhs. He lived in a time of tremendous oppression and led his followers out of virtual slavery into safety and security. He taught self-worth and grace. He sang songs of tremendous gratitude to the Divine. 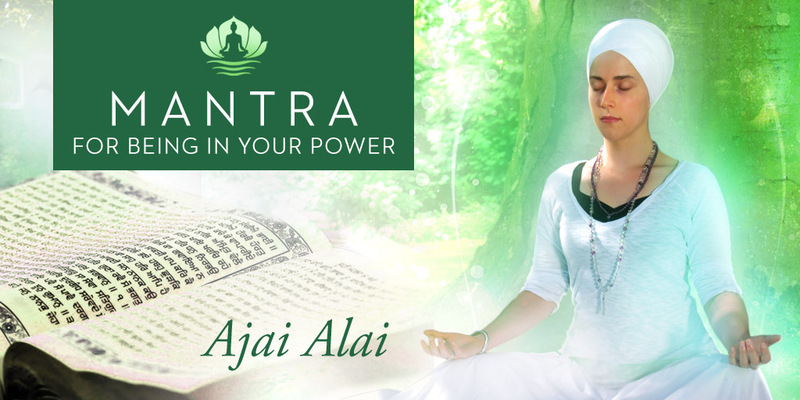 Ajai Alai is a part of the daily prayer called Jaap Sahib, and this particular mantra is like a laundry list of the Divine’s awesome qualities. It shifts your own vibration by bringing you into alignment with the qualities of the Divine and activating them to turn on inside of you. It’s like sitting in a space capsule and turning switches on one at a time to activate the engines and take you into orbit. If you are depressed and angry, you are not in your power. If you are lashing out or feeling like no one is listening to you, you are outside of your strength. Ajai Alai is a powerful mantra that can build your Radiant Body, activate your higher chakras, bring you out of depression and anger, and dissolve challenges in front of you. According to Yogi Bhajan, Master of Kundalini yoga, it can make your words come to pass, giving you the power of creation at the tip of your tongue. Thank you for translating the words of this beautiful mantra. Thanks for such an amazing ‘vayakhya’ of this astounding mantra. We really loved the rhythm and rhyme pulled us to this powerful mantra. We recently did a recording of this, which we hope will be helpful for Spirit Voyage Readers. We really like Mirabai’s version of Ajai Alai.. Amazingly sung. Amazingly powerful. Dilpreet Bhatia’s version is also great. I love it! Can you help me to get out of this? I do not know why i have so inner fear and egotism. Well egotism does not mean that i am so bad or doing bad deeds. I always try to treat other people very sweetly, softly and from heart but due to bad or selfish behavior of others I get turn into egotism and this makes me so angry. I am very sensitive to the feeling of others but i can not express to others but i do it with animals.Can you tell tell me how to overcome inner fear and egotism. And is there any mantra to get Divine power to get Love, courage, success and to remove all bad evil powers from my life completely. I finding it hard to love in the first place, lol. Is there any mantra or shabad I could recite for sprouting love? 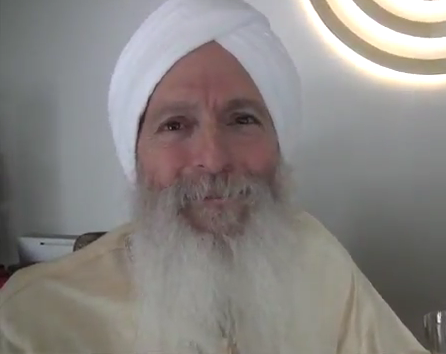 Guru Guru Waheguru Guru Ram Das Guru is a heart chakra mantra. Thank you, I will try and do 31 minutes. Also if it’s ok to ask even though it’s a bit off topic, Guru Gobind Singh Ji states that the only way to God is through love but when I contemplate this I feel that I don’t have love for God yet. I mean how does one go about trying to establish love for God? Is this something I should already have within me? If loving God seems too far away, try loving YOU. Try loving life. Loving the earth. Loving nature. Loving the people around you. God is in all of these things and more, so you will end up loving God the round about way. 🙂 Blessings! Please try to help me to become more intellgent i don’t how to overcome with depression.. My friends are kidding me because of low knowledge i feel ashamed of that..
Can I just recite the mantra on it’s own or do I need to do something else as well? Also, how many times should the mantra be repeated and for how long? Lastly, I still don’t really understand what this mantra does. Does it allow you to be in your power in that it lets you be you, so that you can express yourself more? Try chanting Ajai Alai for 11 minutes (or even 31!) This mantra is a power mantra…its strong and brave has an energy of empowerment. That’s how it let’s you be ‘in your power’…by giving you the courage, strength and power to be you, and by connecting you the Infinite energy of the Divine, which is the source of all power. Give it a try and learn it from the inside out! I just wanted to know if the meditation Ajai Aai has to follow the kriya immediately or is it ok to do it in the evening for example (while doing the kriya in the morning) ? thank you for keeping posting and answering our questions! I started the Global Sadhana as well. I just love it! It is such an empowering thought, that so many people all over the world doing Sadhana as well. Greeting from Germany and Sat Nam! I was watching Ann Novak’s video and practicing the kriya. I noticed that the balancing pose is done on the left leg only, and there was no mention doing it on the right leg. Could you please clarify this as I would like to teach this kriya to my students and also able to answer their questions later on. 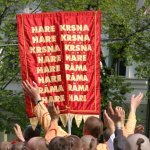 Is there anywhere to learn more about what participating in this 40 day sadhana means? It’s my first one and I feel like I’m missing some information; for example, is there a particular time of day we’re all doing this together, or do we just do it on our own? Do we log in somewhere to say we’ve completed the kriya for today? 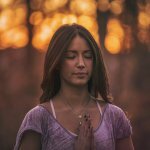 Perhaps these are foolish questions for experienced yogis, but I would appreciate a little more info so I can make the most of participating in this. Who is the male singer of Ajai Alai please. Such a mlodious vouce.